I don’t know about you guys, but I’ve been urging fall to start for over a month now. Baking pumpkin desserts, wearing plaid shirts, even painting my nails a deep cranberry color…to some success its finally been below 70! I love this time of year with all the anticipation to the holiday (and holiday cooking/baking). I figured it was time for some chili already. 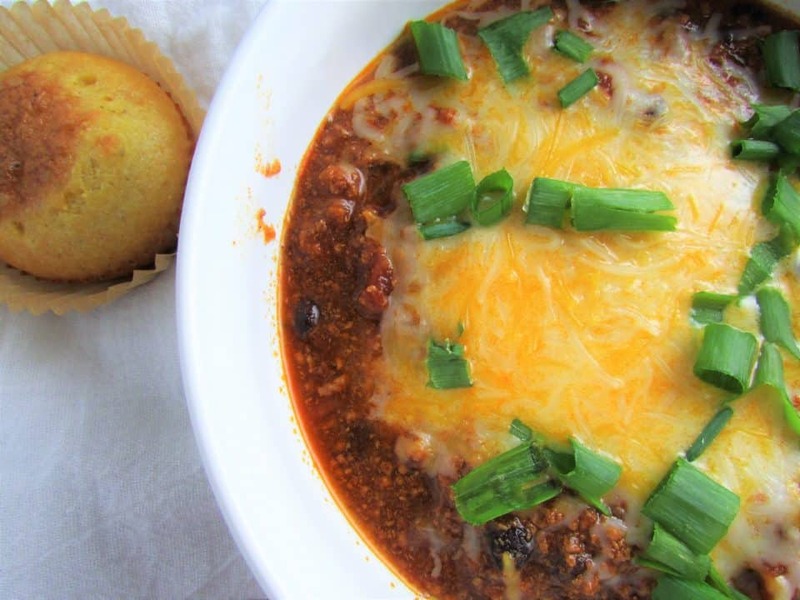 This is possibly the best and EASIEST chili I’ve ever made…and I’m not exaggerating. The prep time time was probably, 5-10 minutes? And in an hour I had made enough chili for dinner plus lunch for the whole week. 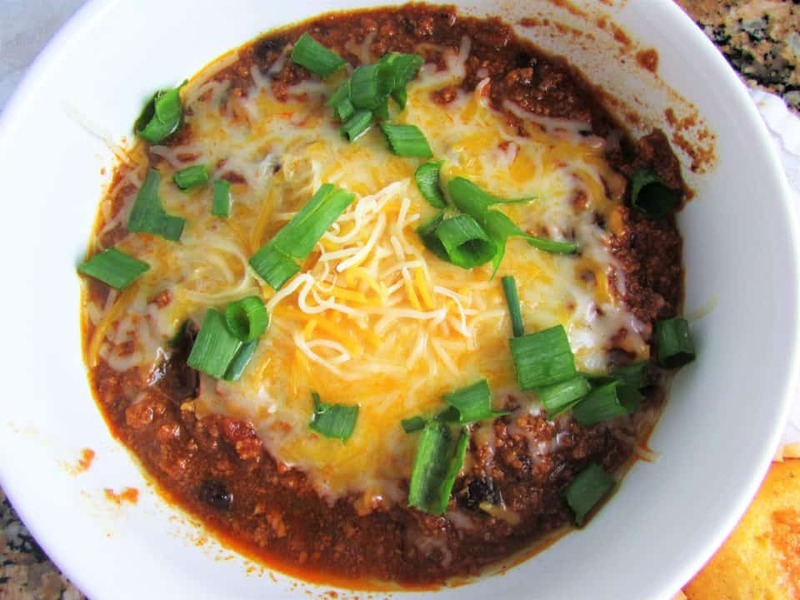 What I was really going for in this recipe was chili that’s reminiscent of the ever famous Ben’s Chili Bowl here in D.C. It’s a deep tomato, beefy kind of flavor with a super fine texture that works as a dish or to top a hot dog, nachos, fries, or whatever. To get that fine texture I did something out of the ordinary and I did not brown the beef. It’s true that browning meat gives it flavor – however it also makes it clump together into big chunks – and that’s not what I wanted. So instead the raw beef gets placed directly into the tomato sauce…it’s not as weird as it sounds, I promise. To start, mince up 4 garlic cloves finely and dice a whole yellow onion. Sauté this in 1 tbsp olive oil in a large stock pot. Mix in 1 tbsp of tomato paste. 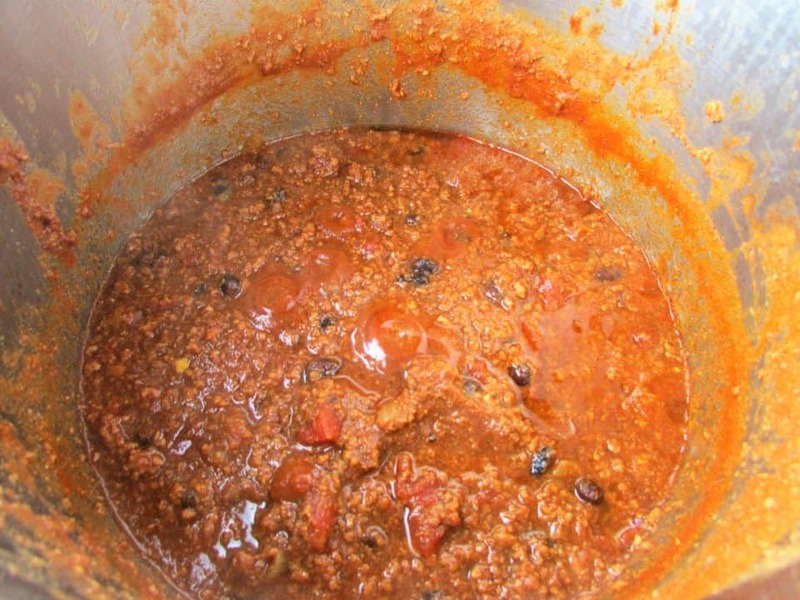 Once it’s browned somewhat, add in 1 can of tomato sauce, 1 can of chili style tomatoes, 1 can of black beans and stir. Next add in 2 pounds of lean ground beef (half this recipe for 4 servings) and stir. The beef is going to break up into little tiny pieces – that’s okay. Add in paprika, chili powder, garlic powder, cumin, salt, and pepper. Lastly – add just 1 cup of water. Stir this all together and bring to a boil. Let this simmer on medium uncovered for about an hour. The longer you let it go, the thicker it will become. Also, I noticed that leftovers become thicker as well. Mince garlic cloves finely and dice the yellow onion. Heat a large stock pot on medium with olive oil and add garlic and onion. Mix in tomato paste. Once it’s browned somewhat, add in tomato sauce, chili style tomatoes, black beans and stir together. 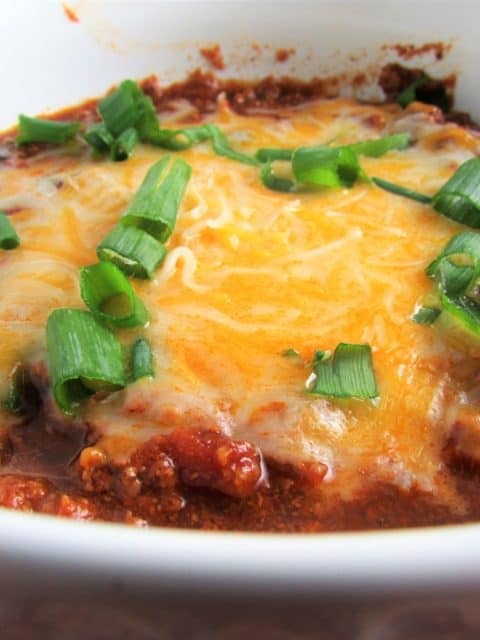 Next add in the lean ground beef – then your spices - paprika, chili powder, garlic powder, cumin, salt, and pepper. Lastly – add just 1 cup of water. Stir this all together and bring to a boil. Let this simmer on medium uncovered for about an hour. The longer you let it go, the thicker it will become.